Places that allow me to leisurely enjoy a meal in a laid-back atmosphere while sipping an aromatic brew of coffee are a haven for me. Quaint cafes that display local ingenuity through its interiors are a destination itself and fortunately for coffee addicts, the must-try list just gets longer! 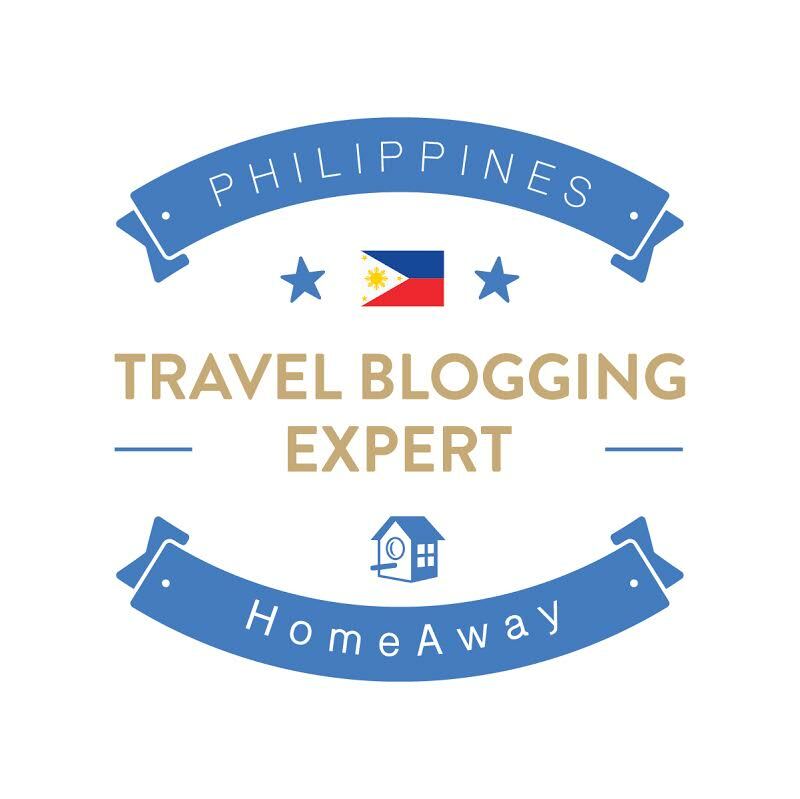 Here are some of my great finds around the Philippines - selected for the quality of food and drinks, service, value for your money, without sacrificing the aesthetics. 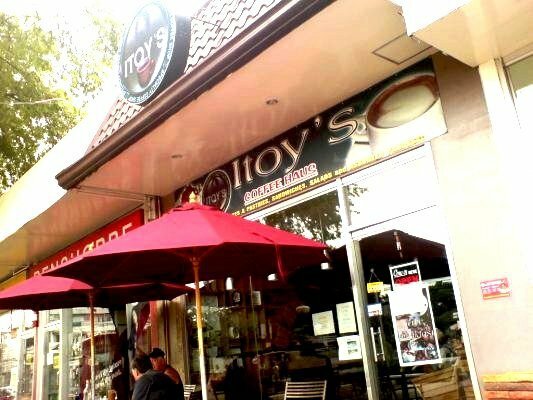 Established in 2005, Itoy's is the answer to your coffee cravings while basking on the beaches and frolicking around the landscapes of Palawan. Me and a friend, stumbled on this place, tired and groggy - the effects of an intense two-day tour of Palawan. The intimate space, coffee and pastries instantly picked up our mood before going off for a city tour. Trivia Time! 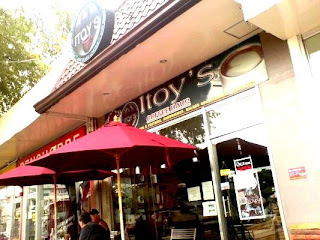 The cafe's name was derived from the nickname of the proprietress' father - Benito Jason Marcelo Jr..It's success paved way for a second branch at Barangay San Pedro, also within Puerto Princessa City. 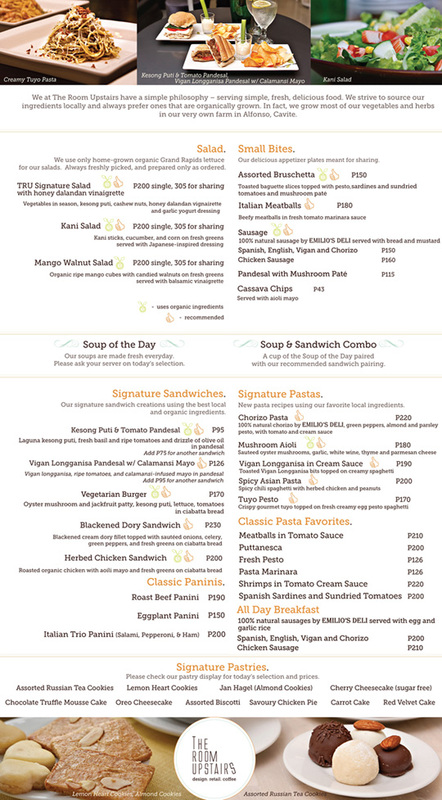 Aside from coffee and pastries, pasta and rice meals are also served. Situated along a major road and a great place for meeting business contacts or dear old friends. 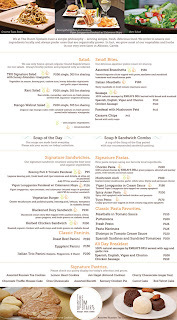 It's open from lunch time to midnight and unlike most cafes, waiters come to your table to get your order. 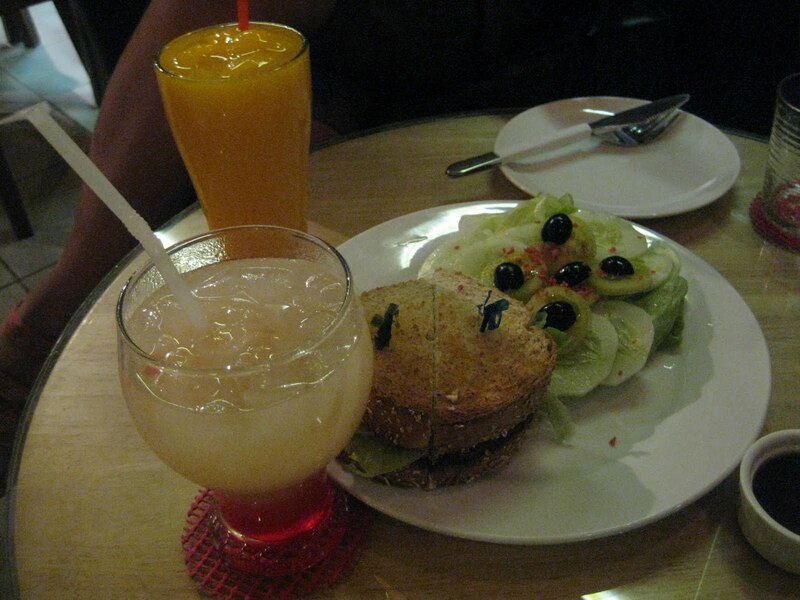 Its Mango fizz and sandwiches must be tried! Great coffee that is served 1/3 of the price from Manila's coffee shops would top my list any time! I was brought here for a late business meeting and was amazed with the wood furnishings. Unlike most cafes, its area is spacious, a good few feet from the next table and made me feel like I'm in a friend's library at home. Unfortunately, I was unable to take any photos but I placed their Facebook link so you can drop by their page. Coffee prices astonishingly start at 35 Pesos. Enjoy a cup or two of kapeng Barako while ogling at paintings of local artists. It's a one room gallery established in 2004, by art enthusiast Dr. Nilo Valdecantos. 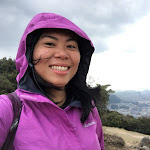 A visit to Kape Kesada can be mixed with a walking tour around town where you can find the decades old St. James the Apostle Church (rebuilt 1939), hike up Tatlong Krus for a view of Laguna de Bay and splash around at Matabungka Falls. Address : Quesada Street (near the Paete Church). Owned by award-winning national artist, Mr. Benedicto Cabrera, BenCab Museum houses not only his works but also those of promising local artists. Located inside its premises is Cafe Sabel which was named after a subject photographed and sketch in 1965. The cafe overlooks a duck pond, the mountains and a garden. This place is ideal for quiet conversations or solitary sessions. I can imagine myself staying here writing for hours! from 9:00am to 6:00pm (last entry at 5:30pm). As with a previous cafe find, I was invited here for a business meeting. After selecting a seat and absorbing its chic interiors, I felt that the place seemed too cozy for a meeting. My first thought was that it would be an amazing venue for a date and instantly, my mind conjured episodes of romantic trysts. It was hard to focus on anything serious and I found myself occasionally drifting from the conversation to entertain my so-called "hopeless romantic fantasies". When the coffee and the moist chocolate cake arrived, I shook myself back to reality and reclaimed focus to discuss about our project. I swore to myself that I must come back here with friends or maybe a lover, hahaha! Last one on my list digress from the definition of a cafe and is not originally set-up as a business venture, but it's a place where you get to sit down and chat over coffee. The most spectacular detail of all is that coffee here is served for free, and and and and I have to repeat it one more time, coffee here is served for free! No food here but you can bring your own and share it with new found friends. 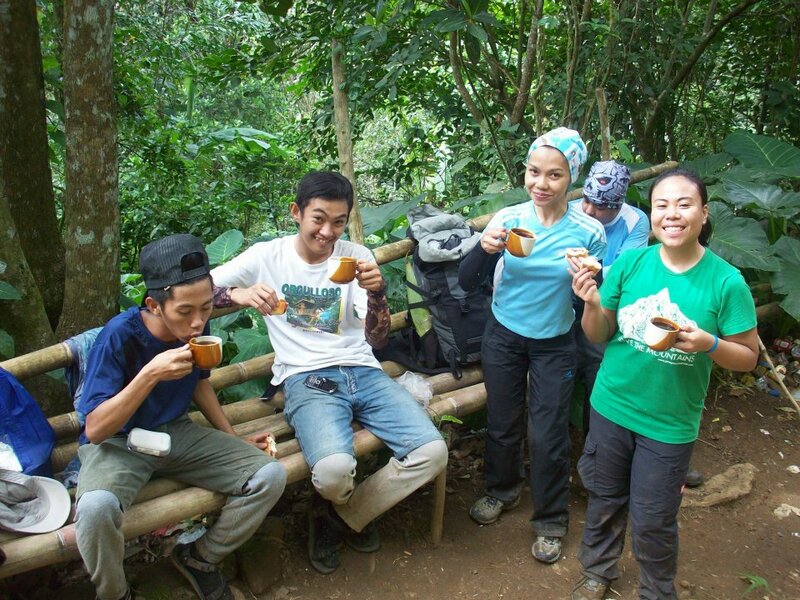 Mang Pirying's hut, located 30 minutes from the summit is a favorite stopover for Filipino mountaineers. Here, the homeowner, Mang Pirying or a relative will genuinely welcome you and offer you a strong brew of Kapeng Barako. You are not obliged to pay but as a polite guest, it is customary to at least give something in return. Ground coffee is sold at 20 Pesos/good for 6 cups. 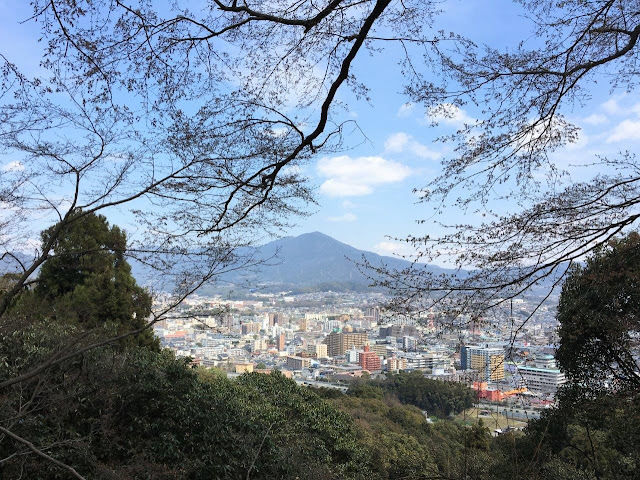 Interested to hike this mountain? It's the only way you can taste Mang Pirying's coffee! 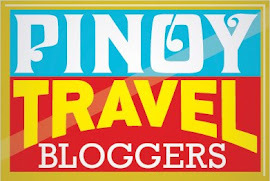 :P Itinerary available at Pinoy Mountaineer. Coffee and comfort food served by the friendliest people are among the reasons why I cannot think of a better place to live anywhere else but in the Philippines.